The other night I was cycling around lovely Lake Nokomis when I nearly got into what could have been nasty accident simply because someone wasn’t paying attention. At Nokomis, they have separate paved trails around the likes, one for walkers and runners and another for people riding bicycles, the whole point being that the traffic for each is such that separate paths are necessary for proper safety. It’s a great idea, you just have to get people to follow it. Such was not the case the other night when I was cycling down the bike path and a family of six was walking towards me. As I approached them, a couple young girls in the family were distracted by a loud airliner flying low overhead and didn’t see me coming at them at almost 20 mph. Even though I was riding on the very edge of the path, I still passed within a foot of the young girls who were simply walking along, oblivious to their surroundings, on the bike path. It’s easy to get distracted and not see what’s coming. I’d be lying if I said I don’t have lapses myself. Everyday we witness those (our ourselves) who simply aren’t paying attention to their surroundings and ultimately it doesn’t matter whether you’re going 2 mph or 200 because you could end up in a big crash either way. The short version is to simply call it “change”. No matter what we do, change is occurring all around us. Sometimes it may be very slow, virtually imperceptible to the human mind over a lifetime, such as evolution. Or it could happen very, very quickly. In business this is no different: the change itself is inevitable, but our reaction or plan for change is what can often mean the critical difference between success and failure. One of the hottest industries of the past few years is the mobile phone industry, specifically with regards to smartphones and their emergence as a large segment in the mobile device industry. While smartphones weren’t invented in 2007, the introduction of the iPhone in January, 2007 had more to do with shaping the smartphone landscape today than almost anything else. Back in early 2007, smartphones were very different than they are today. The most popular models ran Palm OS, Windows Mobile 5, Blackberry OS and Symbian. Blackberry had been around for a while, but they were really coming into their own with their new camera sensors built-in to the Blackberry along with a calendar and contact support and web browser. 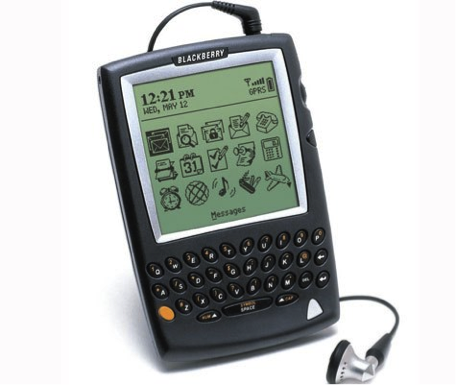 The Blackberry always had fast and secure email, but now it was a full-fledged smartphone. Due to the super secure, lightening fast, don’t-have-to-think-about-it email built in to the Blackberry, it was quickly becoming a favorite in the business market and to a much lesser extent, the consumer market. This would be a time of tremendous growth for Research In Motion, yet also the moment when they most needed to innovate and realize change. The writing was on the wall. Whether you bought an iPhone or not, you couldn’t deny its appeal: sleek and simple design, easy to navigate, big touch screen, geared for average users. This was something new, something not seen before from any other company. Even at the exorbitant price of $499 (or even $599 for the 8GB model!) and despite the fact it was a 2G phone (many phones were packing faster 3G radios at that time, albeit at the cost of shortened battery life), it was still an instant success. Apple had brought a massive wave of change to the industry before they sold a single unit and regardless of whether they actually succeeded themselves. Their message of beautiful simplicity, an approachable user interface and consumer centric design was powerful. The only thing standing in their way was the actual execution of the idea and getting the price down from their original stratospheric levels. We could go on and on about the minutiae of what happened in the years to follow the iPhone’s original announcement, but suffice to say, here in 2011 the landscape is radically different than it was in 2007. Before the second half of 2007 Apple hadn’t sold a single handset. Now in 2011 Apple is the most profitable mobile phone company in the world, the iPhone is the most popular smartphone in the world, smartphones are officially mainstream consumer devices and we’re witnessing the repercussions of the companies who failed to pay attention and realize the rapid change that Apple ushered in. After bringing us some of the first popular smartphones with the Treo back in 2002 (building on the success of the Palm Pilots and Handspring Visors before that), Palm quickly realized that neither Palm OS nor Windows Mobile could compete as a new, modern smartphone OS. But modern smartphone operating systems don’t exactly grow on trees. With a new infusion of capital and led by their visionary Jon Rubinstein (one of the co-creators of the original iPod at Apple), they created webOS and the Palm Pre. However due to their late start, the Pre debuted a full two years after the original iPhone. The exclusivity to Sprint wireless also hindered their adoption (debuting a device exclusively on the third largest carrier in the US probably wasn’t the best strategy), and in 2010 Palm was bought by HP. WebOS was commonly thought of as a truly capable modern mobile operating system that truly had the chops to go head-to-head with Apple’s iOS, but what Palm really lacked was great hardware. So teaming up with the world’s leading PC manufacturer should be a win-win, right? Sadly, that didn’t happen. After HP promised to double down on webOS, they squandered many opportunities and released a half-baked tablet called the TouchPad that seemed to have great potential but didn’t offer enough compelling reasons for consumers. Now on August 18th, 2011 HP has announced their intentions to jettison their personal devices and sell-off or spin-off their PC business. Could this be the end of Palm, the Pre, the TouchPad and webOS? Due to having a strong market share amongst OEMs, Microsoft was in a strong position as they licensed Windows Mobile to industry heavyweights such as Samsung and Motorola. To Apple, Windows Mobile exemplified everything that was wrong with smartphones before the iPhone: very technical, lots of menus and submenus, stylus input, geared exclusively towards business and very unapproachable to the average consumer. Microsoft’s CEO Steve Ballmer didn’t seem to think the iPhone as much of a threat, yet as their market share took a rapid decline over the next few years, Ballmer finally realized that Windows Mobile 6 was not only not what consumers wanted, but it wasn’t what business users wanted either. Microsoft went back to the drawing board and finally created a truly modern smartphone OS in Windows Phone 7 (taking some cues from OS design elements from their Zune music player. Like Palm, it took Microsoft some time to get Windows Phone 7 phones to market (even for Microsoft, modern mobile operating systems don’t grow on trees either!). Through their licensees they finally launched in late 2010 but have yet to reach significant adoption or consumer acceptance in less than a year. Shareholders continue to be worried about the direction and leadership at Microsoft. Nokia was also in a position of strength in 2007 as the worlds leading mobile phone manufacturer. They leveraged their Symbian OS for their smartphones and while they were extremely dominant around the world, Symbian-based smartphones never quite took off in the US. While Nokia put tremendous resources to the Symbian ecosystem, the OS itself was never quite powerful enough to compete with the modern smartphone operating systems of today. It was essentially an advance feature-phone operating system that Nokia kept refining and adding more features. Unfortunately, just like lipstick on pig, you can’t deny what’s really underneath all that glitter and Nokia’s advanced hardware design couldn’t make up for the shortcomings of Symbian. With Nokia and Symbian market share plummeting (along with their profits), Nokia replaced their CEO with former Microsoft Business Division President, Stephen Elop in September, 2010. Elop, with his famous “burning platform” memo, promptly turned the direction of the ship around, declared Symbian dead, and formed a groundbreaking partnership with Microsoft to become a featured hardware partner (though not an exclusive partner) for Windows Phone 7 devices. Because of Nokia’s traditional strength in hardware and weakness in software, this partnership could ultimately bear much fruit, but as of yet, no Nokia-Microsoft devices have been released and Nokia’s market share continues to drop in the meantime. Google became an unexpected player in the mobile business when they acquired the small Android Inc. in 2005. While the new smartphone operating system was originally patterned after the Blackberry and Windows Mobile OS, it changed dramatically and altered course shortly after the iPhone was unveiled in 2007. They quickly realized that the traditional smartphone user interface was not the template to pattern a new operating system after. Through extensive financial support of Google, Android has grown and evolved to become the dominant smartphone OS today, largely due to their lighter restrictions, open-source nature (allowing great customization by carriers and manufacturers), and because they’re essentially giving the operating system away for free. While Android Inc. operates as a subsidiary of Google and their smartphone operating system has seen incredible adoption, the fact remains whether Android Inc. is actually profitable as a business. While some estimates have Android bringing Google $6-$10 per user, per year in search revenue, how certain can you be that they would not realize this revenue from competing platforms without incurring all of the development costs that go along with a modern operating system that you’re giving away for free? Combine that with Android’s recent litigation over patents and use of Java, and it remains to be seen if Android, in its current form and business plan, is a wise investment for Google. Google makes money off of search. Does Android really bring more people to search than they would if they were using an alternate non-Android device? Now in nine years of research, development, and technological advances, how far has RIM really come? Besides adding a color touch screen and a better browser, how different are these phones really? While RIM also works on keyboard-less versions of their smartphones (Storm, etc. 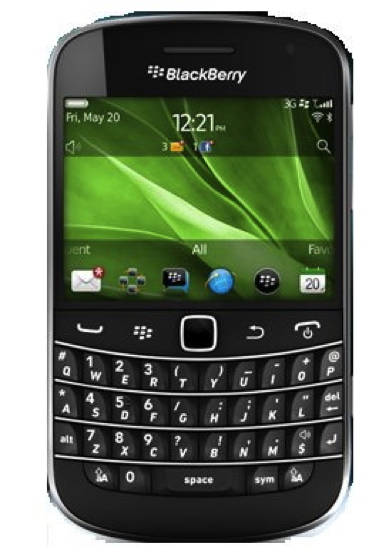 ), their sales have paled in comparison to the traditional Blackberry layout of full keyboard, short widescreen display. Does this really look like the phone of the future to you by a company that prides itself on innovation? The point is that change is not only inevitable, it’s constant. Some companies create and drive change, some react quickly to it, and yet others play catch-up only after they’re absolutely sure it’s a safe bet. But if you’re not willing to change with the times, to pay attention to your surroundings and be agile enough to see what’s coming ahead, then you must also be prepared to get off the bike path and into the slow lane for walkers. Wayne Gretzky once said, “A good hockey player plays where the puck is. A great hockey player plays where the puck is going to be.” Is your company playing to where the puck is going to be?